Stay in one of 30 guestrooms featuring flat-screen televisions. Complimentary wireless Internet access keeps you connected, and satellite programming is available for your entertainment. Private bathrooms with showers feature complimentary toiletries and hair dryers. Conveniences include safes and blackout drapes/curtains, as well as phones with free local calls. Make yourself at home in one of the 75 air-conditioned rooms featuring LCD televisions. Complimentary wireless Internet access is available to keep you connected. Bathrooms have showers and complimentary toiletries. This pleasant hotel is situated in Carcassonne, a UNESCO World Heritage site. The enchanting medieval fortified town, set just 4 km from the establishment, was reputedly the inspiration for Walt Disney's Sleeping Beauty. Inside the double turreted walls, guests will find cobbled streets, a cathedral and a magnificent castle. They will also discover the Ville Basse, a Gallic charmer, founded in 1240. Visitors will have the unique opportunity to be not far from the Abbey of Saint-Hilaire and Ducs de Joyeuse Castle. In addition to a convenient location, this hotel offers several amenities and services. Complimentary Internet access is available and a business centre is provided for those who need to keep working while enjoying a pleasant stay. 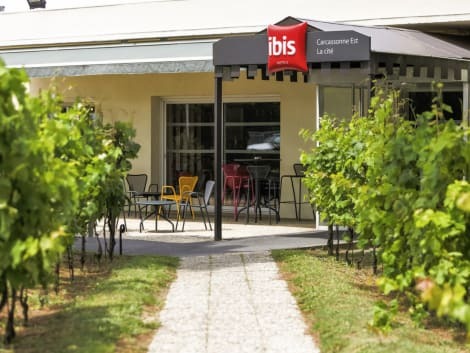 A stay at Hotel Bristol places you in the heart of Carcassonne, walking distance from La Bastide Saint Louis and Auditorium - Ancienne Chapelle des Jesuites. 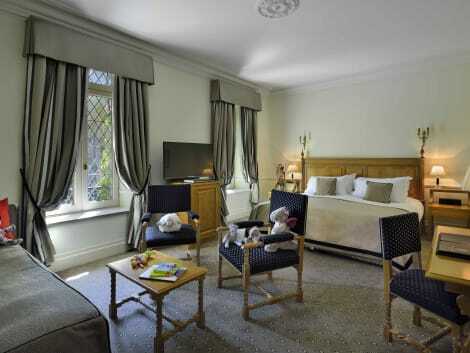 This hotel is within close proximity of Musee du blason - vitrail and Memorial House.Rooms Make yourself at home in one of the 49 individually decorated guestrooms. Complimentary wireless Internet access is available to keep you connected. Private bathrooms with shower/tub combinations feature complimentary toiletries and hair dryers. Conveniences include phones and desks, and housekeeping is provided daily.Dining Satisfy your appetite at one of the hotel's 2 restaurants.Business, Other Amenities Featured amenities include a 24-hour front desk, multilingual staff, and an elevator (lift). Self parking (subject to charges) is available onsite. Carcassonne is perfect for your cultural, historical and gourmet getaways. Between the Mediterranean and Toulouse, discover the medieval city and Cathar castles. The Canal du Midi and the beaches of Narbonne are 24.8 mi (40 km) away by car. Try the delici ous cassoulet and regional wines. Our hotel is located 0.9 mi (1.5 km) from the citadel and Domec stadium and 1.6 mi (2.5 km) from the city center, in the immediate vicinity of the 2 bypasses and the A61 highway, so you can move around as you please. Make yourself at home in one of the 81 air-conditioned rooms featuring LCD televisions. Complimentary wireless Internet access keeps you connected, and cable programming is available for your entertainment. Bathrooms have shower/tub combinations and hair dryers. Conveniences include phones, as well as desks and coffee/tea makers. Transport yourself back to medieval France at Carcassonne. Rich in history with a captivating variety of traditional culture and food, Carcassonne is the perfect destination for a French mini-break. La Cité de Carcassonne, a walled city on a hill by the Aude River in Languedoc-Roussillon, is reputed to be the inspiration for Disney's Sleeping Beauty. Fans of history need only glance at the impressive city walls from beneath La Cité to imagine it teeming with armed soldiers and bustling townsfolk. The perfect example of a medieval castle, it appears to be taken directly from a fairy tale and is the second most visited French landmark next to the Eiffel Tower. Now a World Heritage Site, La Cité was founded during the Gallo-Roman period, and is famous for its 3km-long double surrounding walls interspersed by an impressive 52 towers. Carcassonne was originally a Gaulish settlement before being transformed into the fortified town standing today by the Romans in the 3rd century AD. The town was finally annexed to the kingdom of France in 1247. Travel beyond the gates of La Cité and into the lively French town with quaint cobblestone streets and you'll find plenty of traditional shops and restaurants to explore. Inside visitors can explore the ancient watchtowers and walls or climb Château Comtal, the 12th-century tower which offers tremendous views of the lower city. The 11th-century Basilica of St Nazaire and St Celse is a Roman-built cathedral, listed as one of France's national monuments. It features beautiful stained glass windows and Gothic transepts and is a testament to the region's classical history. Below the walled city, the lower city, or Bastide St Louis, has just as fascinating a history as the walled city, and dates back to the Middle Ages. More modern in its amenities than La Cité, it has a fine selection of typically French bars, shops, cafés and restaurants and is a charming and unique place to visit. Those with kids may like to take a break from exploring the old city and visit the Cité des Oiseaux (City of Birds). Here visitors can meet many species of birds face to face, from majestic birds of prey to funny and friendly parrots. The park also puts on regular shows to showcase the birds' natural talents and is a great way to spend an afternoon. The French are famous for their love of good food and wine, and there's no shortage of places to dine and drink in Carcassonne. Take a trip to the lower city for an evening meal in one of the many restaurants where local dishes can be found and enjoyed, such as the regional speciality cassoulet. The Languedoc-Roussillon region is rife with vineyards and the Comptoir des Vins et Terroirs wine bar is well worth a visit. Here visitors can learn about the history of the area while sampling the excellent local wines. Carcassonne, so rich in history, just cannot be missed – so be sure to reserve your hotel soon!